Crimean Tatars of Turkey continue to comment on the decision of the so-called Supreme Court of the Crimea on the eight years of imprisonment for Akhtem Chiygoz. With the sentence to the Deputy Chairman of the Mejlis of the Crimean Tatar people Akhtem Chiygoz, the Russian invaders have once again shown their disdain for human rights and laws. 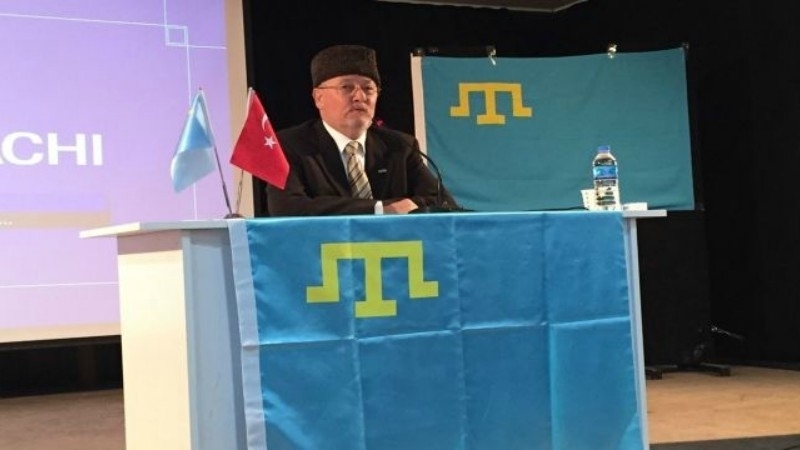 A corresponding statement was published by the Head of the Fund "Emel Crimea" and the representative of the Mejlis of the Crimean Tatar people in Turkey Zafer Karatay. “The Russian invaders, who in 2014 encroached upon all types of international law, invaded and annexed the historical homeland of the Crimean Tatars, today, on September 11, once again mocked human rights and the law,” the message said. According to Karatay, by delivering the verdict to Akhtem Chiygoz, the Russian authorities openly demonstrated their unlawful methods and pressure applied to the leaders of the Crimean Tatars and the elected supreme representative body of the Mejlis with the aim of legitimizing annexation and destroying those representatives of the people peacefully opposing the occupation. “Crimean Tatars know well that the decisions come not from the so-called court, but from the Kremlin. Sentencing Akhtem Chiygoz to eight years of imprisonment, the occupant country, Putin and all the miserable people in the Crimea, showed how much they fear Crimean Tatars and how desperate they are in the face of great resistance,” the Head of the fund concluded. President of Ukraine Petro Poroshenko called the case against Akhtem Chiygoz "the next sentence of Russia, which the UN recognized as an occupier".